List posts always seem to be popular, so here’s my take on some of the top things to do and where to eat in beautiful Sydney. Of course, my recommendations may vary on what you like to do when you travel. However, I think overall this list will give you a pretty good idea on how you could spend your time here and many of my suggestions are FREE. Sydney is such a perfect city simply to wander around and enjoy the historic buildings and harbor views. Not only can you admire the Sydney Harbour Bridge from afar, you can also walk across it! When the bridge opened in 1932, it was the longest, single-span steel arch bridge in the world. The bridge measures 1,149 m (3,770 feet) long. The walk is a little over 2km and allows you to explore a bit of North Sydney for free. Many tourist activities revolve around Sydney’s harbor. It’s easy to hop on one of the ferries from Circular Quay and go to either Watsons Bay or Manly Beach and other destinations as well. I love ferry boat rides and it’s a relaxing way to see many sites. Well, I took a bit of long detour when I attempted to do this walk as you can see in this post where I walked 20+km. However, if you follow the posted signs properly, it’s only a 10km walk that will take you 3-4 hours to complete. We took one of the city’s numerous buses to Coogee Beach and started our 6km walk from there. You can also continue on from Bondi Beach and walk to Watsons Bay, which is a long trek, but the sea views are spectacular. Even during the winter months, there’s plenty to seee Royal Botanic Gardens. Not much is blooming during winter, but the grounds, which cover 74 acres, are still pretty and quite green. Note: there are free guided walks at 10:30 a.m. daily. Luckily, admission is free for the general exhibits at the Art Gallery of New South Wales, which opened in 1874. The museum displays aboriginal and contemporary Australian, European and Asian art. Definitely worth at least an hour of your time. If you like old ships and military boats, take a stroll through the Darling Harbour, which is also home to the IMAX Theatre, Sydney Aquarium and the Maritime Museum. I didn’t have enough time to visit the museum, but I’m sure children would enjoy this! I couldn’t resist stopping in the St. Mary’s Cathedral because my mother-in-law’s name is Mary, and it is quite pretty inside as well. This Gothic-style cathedral, first constructed in 1821, is laid out in the heart of Sydney’s CBD district. If you like dinosaurs and other natural history, then you should definitely stop in the Australian Museum, which is the oldest museum in Oz. Don’t miss the stuffed Diprotodon, which is the largest-known marsupial ever to have lived, and existed from approximately 1.6 million to some 30,000 years ago. Climb up this small hill in The Rocks for good views of the Harbour Bridge and Sydney Harbour. Grab a seat at the Sydney Cove Oyster Bar near the Opera House and you’ll have fabulous views of Circular Quay and the Harbour Bridge. 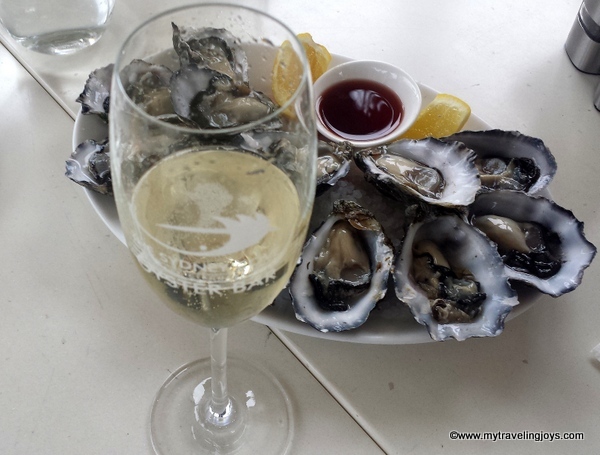 We also ordered a bottle of Australian sparkling wine to enjoy with our oysters. Reasonably priced for oysters and bubbly! There are tons of pubs, and in particular historic ones, located in the CBD and The Rocks area of Sydney. Our two favorites were Lord Nelson Brewery Hotel and Harts Pub because both offered locally made pale ales and India pale ales. Try the 3 Sheets Australian Pale Ale. We also enjoyed some good craft brews at the popular Australian Heritage Hotel and ordered a "Coat of Arms" pizza which is half emu/kangaroo. Go for the beer, but skip the cardboard-like pizza here. If you want a glimpse of Sydney’s stunning harbor, head upstairs to one of the many rooftop bars. We popped into the uber-crowded Glenmore Hotel down in the Rocks which does offer a panoramic view, but crap beer, unfortunately. For a fancy cocktail, we tried the Blu Bar on 36, which is set on the 36th floor of the Shangri-La . Cocktails don’t come cheap at 20-24aud (about $15-$18usd), but the views are worth the once-in-awhile splurge. Another rooftop bar we hope to try next time is the Bristol Arms Hotel located near King Street Wharf. My husband is a bigger gelato fan than I am. I also happen to be far pickier than he is. 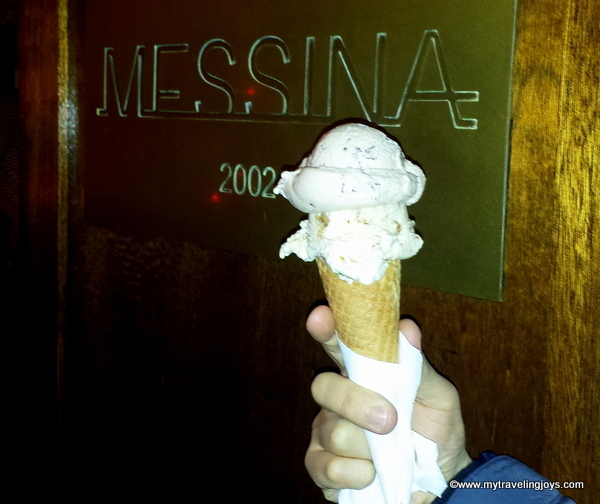 Finally, we found a place in Australia that serves to-die-for gelato at Messina in the Darlinghurst neighborhood. Why didn’t I ever think to create gingerbread cookies with peanut butter? You’ll find funky and traditional flavors here. Just like Melbourne, Sydney has heaps of restaurants selling everything from Korean and Thai to Malaysian and Asian-fusion. 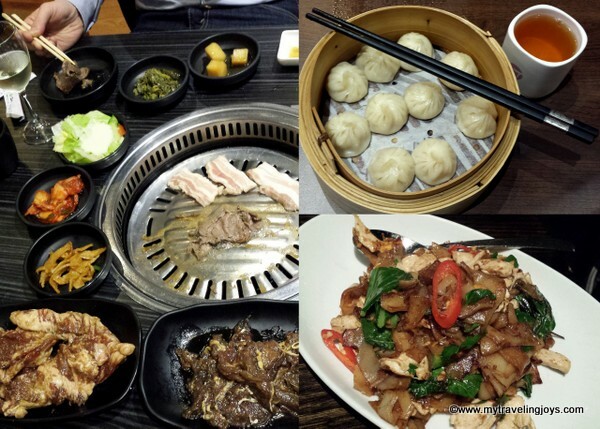 We love our Asian food so we tried super spicy Singapore noodles at Spice I am in Darlinghurst, awesome Korean BBQ at Madang Restaurant, Chinese dumplings at Johnny Wong’s Dumpling Bar and Jade Dumpling House and soup dumplings at Fu Manchu. For two nights, we stayed at an Airbnb apartment located between the neighborhoods of Darlinghurst and Surry Hills. We wanted to get a different taste of Sydney, and I’m so glad we did. Both these neighborhoods are filled with darling, pastel-hued Victorian-era houses and bustling cafés and have a complete different feel from the CBD. Put down your map and just explore! 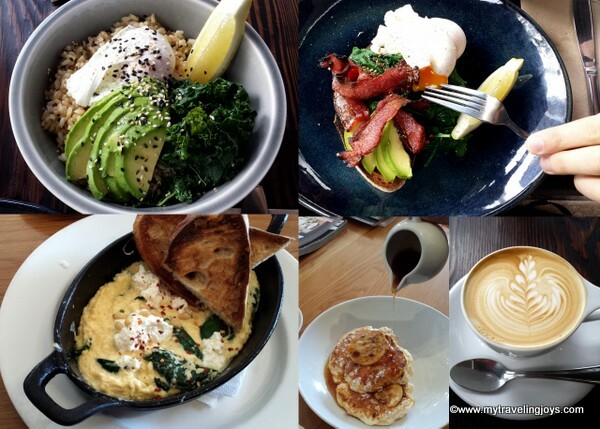 Aussies love brekkie (breakfast), and so do we! We had our favorite brunch with poached eggs at The Goodwill Society and wish we would have returned. We also tried the much-hyped about Bill’s and really liked the ricotta pancakes, but overall we found the menu kinda pricey. As you can see there’s heaps to do in Sydney. Enjoy! What things to do in Sydney would you add to my list? Great post, Joy! I loved the images too! We'll be back in Sydney at the end of December. I hope you'll be around then, I'd love to catch up again. what a wonderful city. it sounds like you are having fun! One day - something to look forward too. I'm definitely looking forward to spending some time in Sydney when I'm back in Asia! Even though I live here, I find that walking through the gardens is still a very common thing for locals to do. Just to sit and have a picnic or even play a bit of touch rugby with their mates. @Joyce, Yes, we try to always see the glass half full as much as possible. I always enjoy reading food blog entries as they give me great suggestions on my next pig-out session! My colleagues at the self storage share the same hobby as mine which is food-hunting so this entry is really useful to us. I always enjoy food when I am visiting sydney.. Loved to see Images and Pictures.. I usually enjoy studying food blog records because they produce great suggestions on my small next pig-out session! My colleagues in the self storage share exactly the same hobby as mine that is food-hunting which means this entry is actually helpful to all of us. 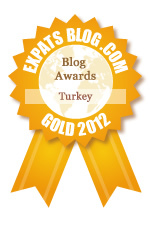 Always enjoying to read some articles and make some entries in the blog.